In our previous post, we had explored the various designing principles and how the application of those principles create the desired compositions. 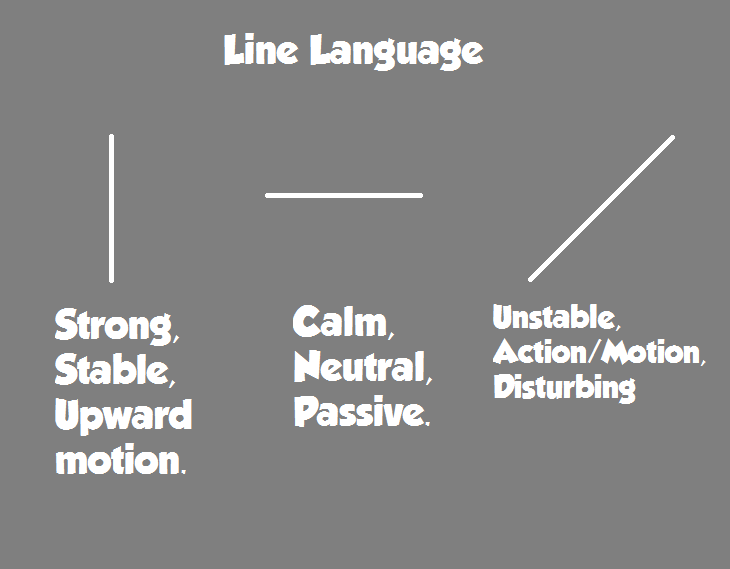 This time, let’s take a look at how you can convey emotions and tell a story through composition. But before that, let’s take a look at some of the basic tools that can help us in doing so. Now, let’s see how these tools can be used. 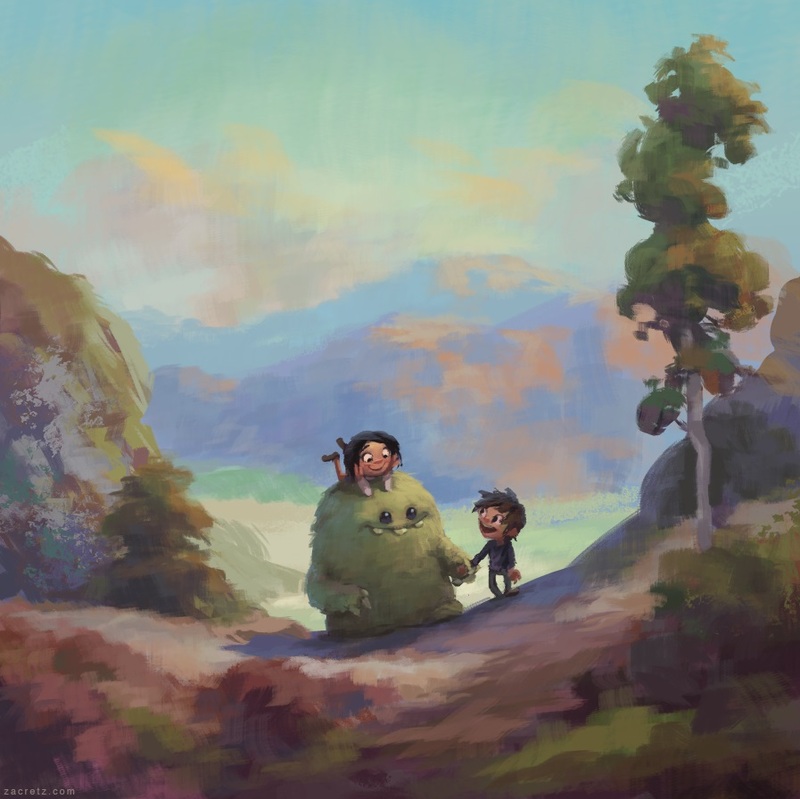 This is an image by Zac Retz. Here we see the predominant use of circles and curves to create a softer, safer and friendly feeling. 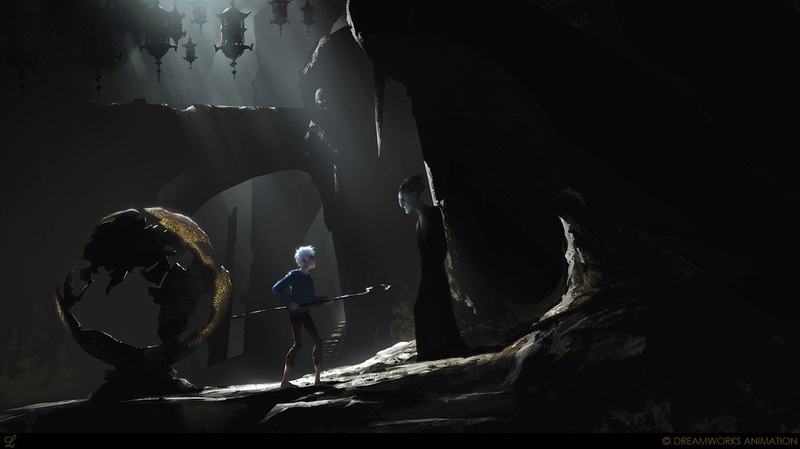 The first two images below are concept art for the film ‘Rise of the Guardians’. 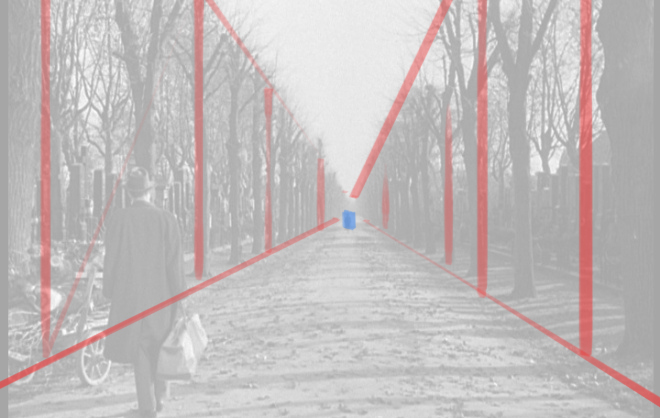 In the first picture, triangles and diagonals are used to depict an action moment. Even Santa is given a triangular shape. In the second image, the tilted horizon creates an unstable moment. 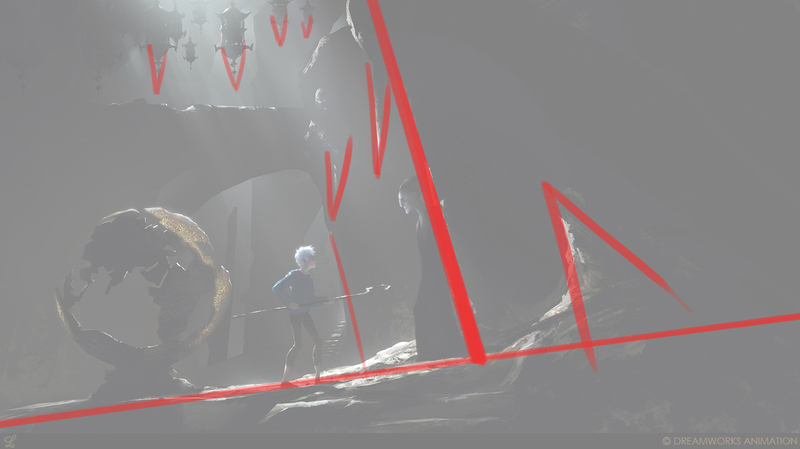 The repetition of diagonals and triangles represent danger, keeping the villainous character on higher ground to show his dominance. 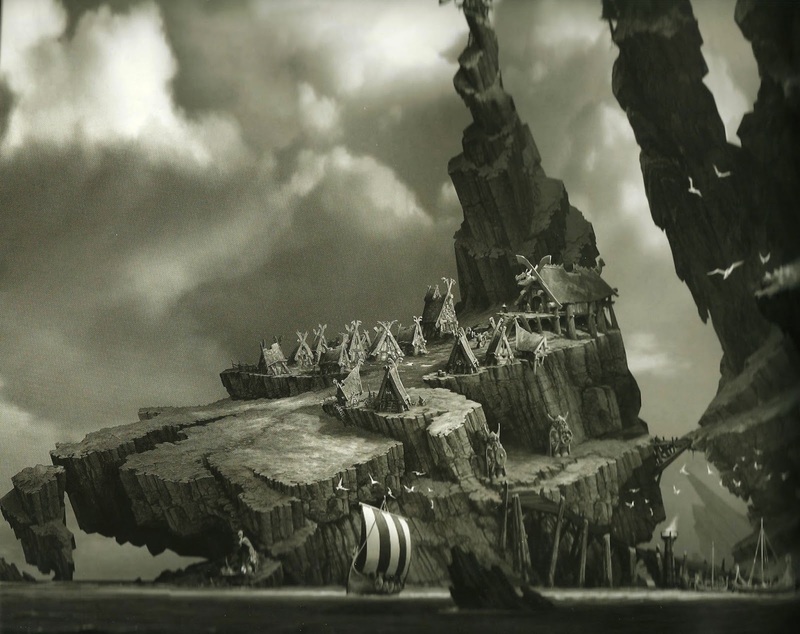 The third image is a concept art for ‘How To Train Your Dragon 2’, the diagonals are used to show an evil lair and the danger associated with it. however, the horizon is horizontal to show stability. 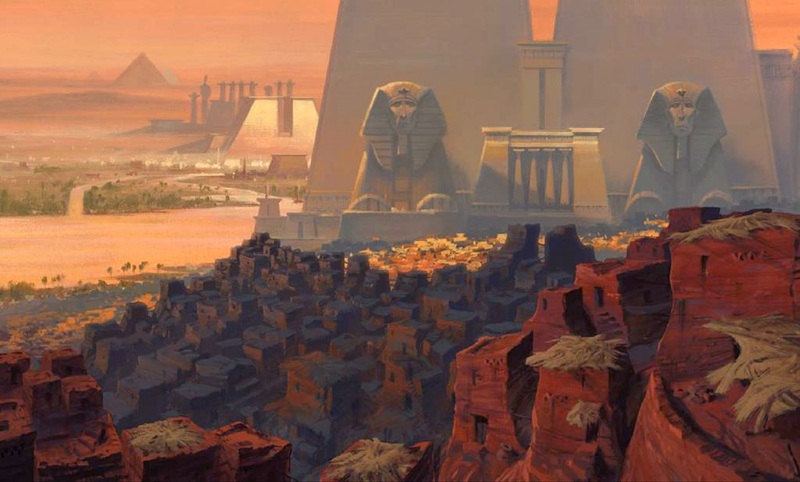 In this concept art from Prince of Egypt, we see the repetition of verticals and squares reflecting stability and strength of the kingdom. Both these images above are showing a similar subject matter. Both images emphasize on king and kingdom. 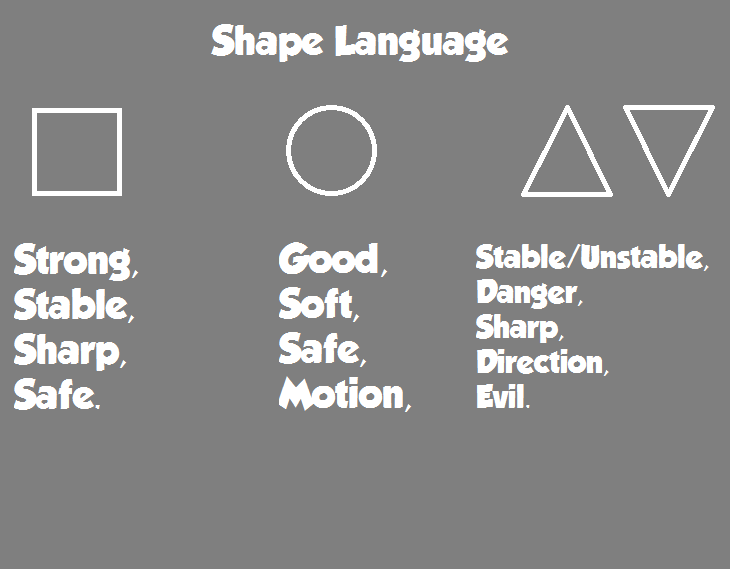 But, let’s take a look at how the story affects the use of shape and line language. 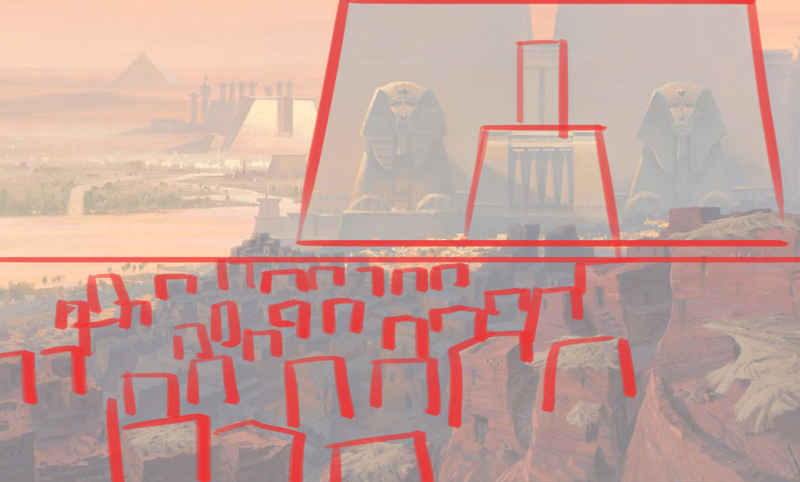 In the first image from ‘Prince of Egypt’, a big dominating square shape is used to depict the King and his subjects, while numerous, are grouped horizontally. 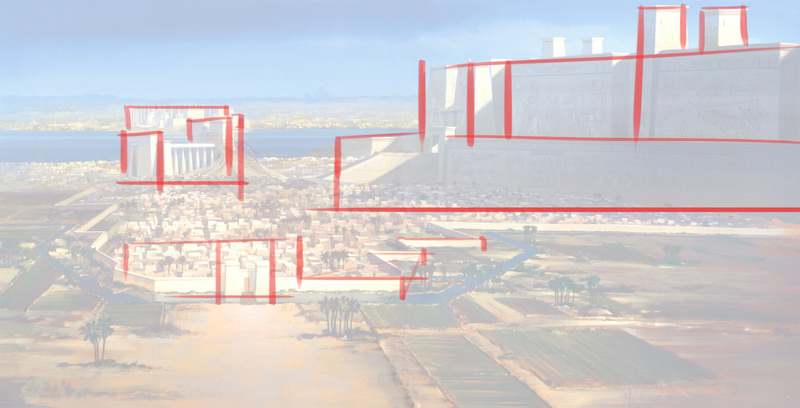 Here, verticals are used to show a dominating king and horizontals to show the subdued subjects. 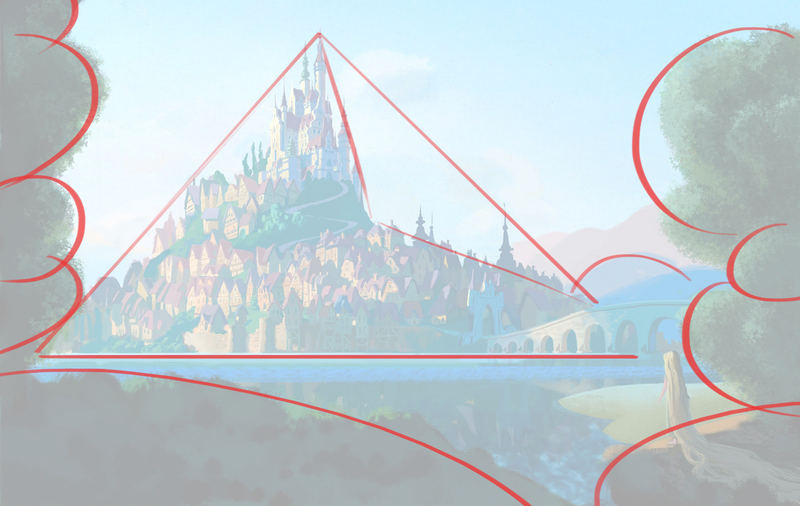 In the second image from ‘Tangled’, we see that both King and Subjects are grouped together in an upright triangle to show overall prosperity. 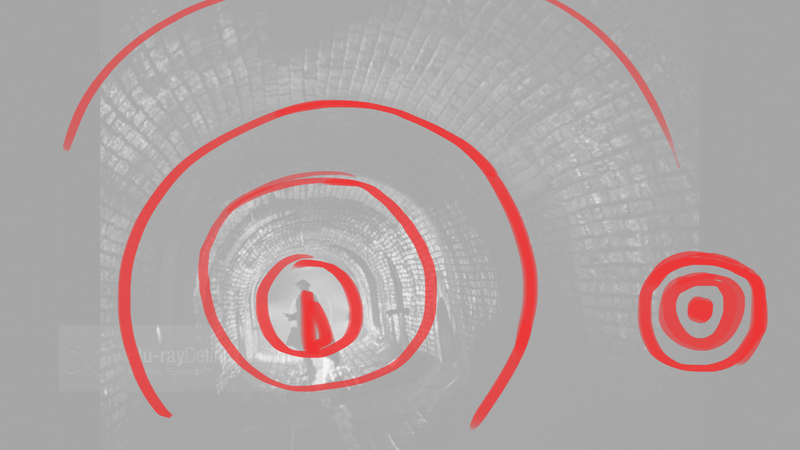 On the other hand, circles are used to show the safety of Rapunzel’s world. 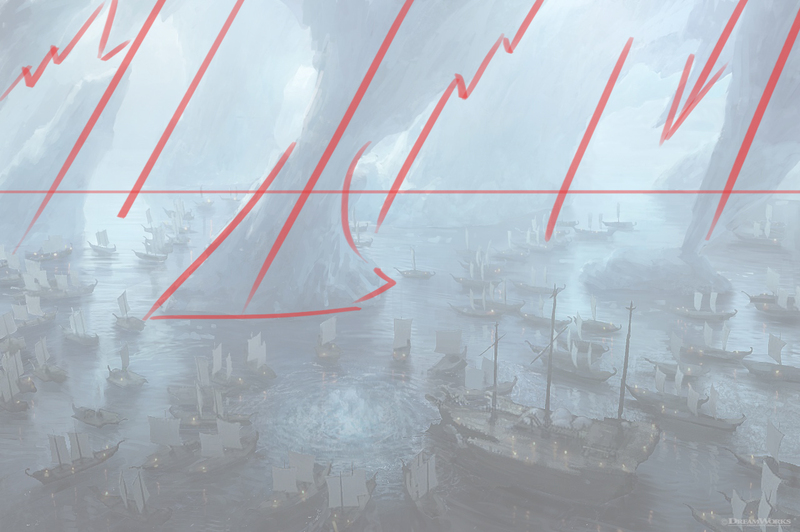 In this concept art of Sheepish by Samuel Michlap, the soft and circular world of the Sheep is surrounded by the sharp triangular shapes of the Wolf Mountain, showing an imminent danger to the Sheep. 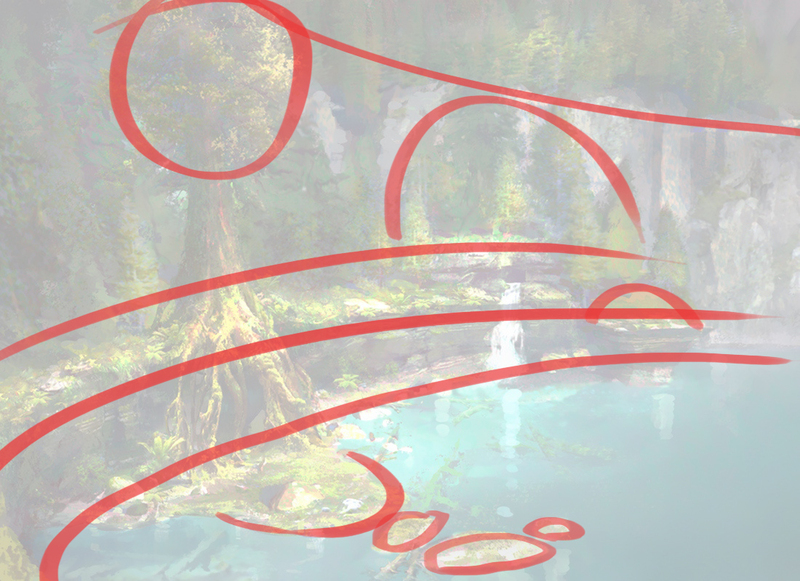 The above images are both concept art for How To Train Your Dargon. 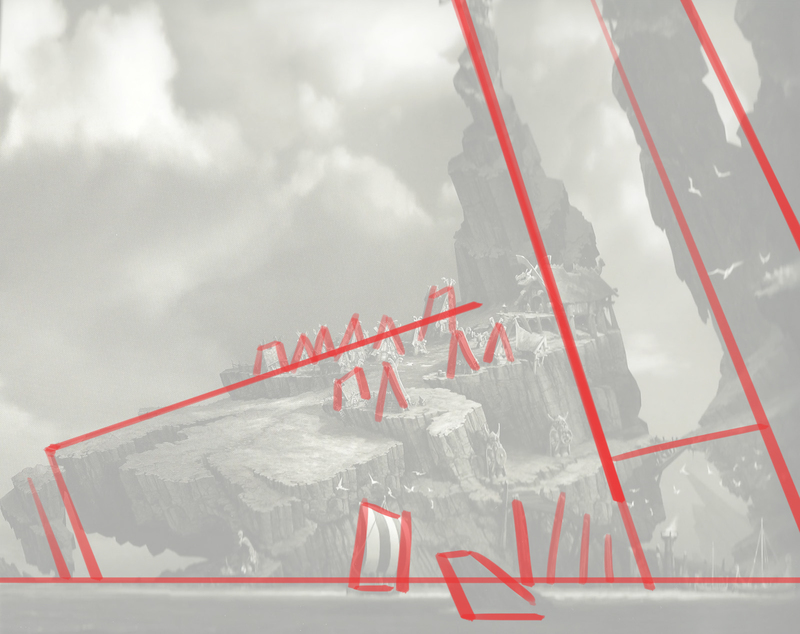 In the first image, diagonals are used to show the roughness of the Island of Berk. 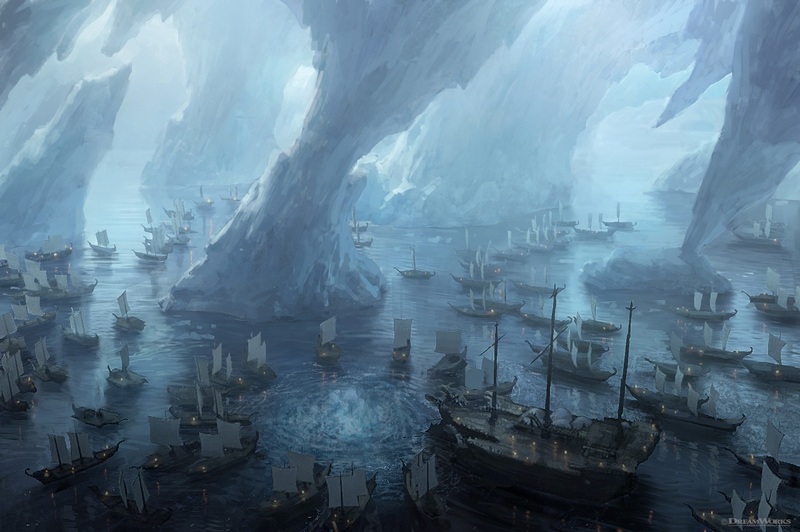 The place is shown so dangerous, that only strong Vikings could survive here. 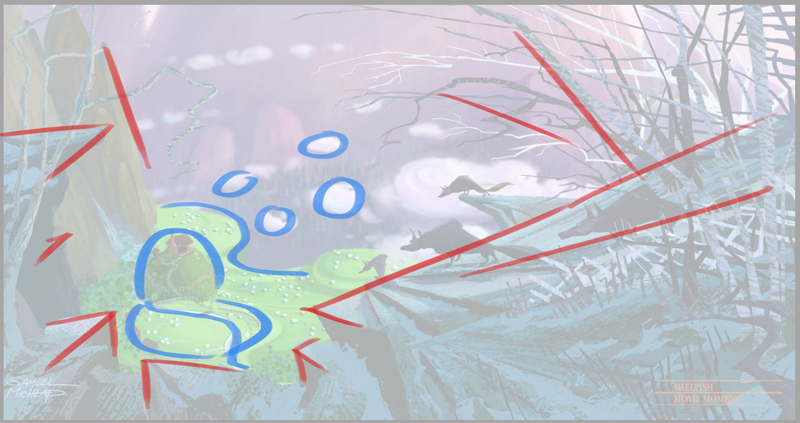 In the second image, we see the Cove where Hiccup and Toothless meet for the first time and develop their friendship. It had to be a softer and friendlier location. Therefore, we see the usage of circular shapes and friendly color scheme. This image is by Marcus Mateu-Mestre from his book Framed Ink. In this image, we see that the lamp post is dividing the frame into exactly two halves to create a symmetrical composition and discomfort. 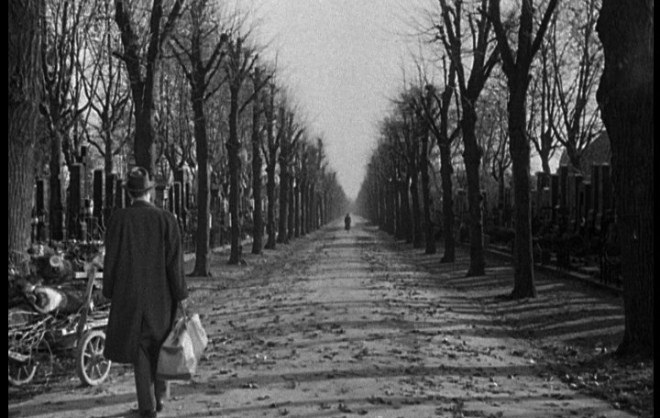 This is a still from the film ‘The Third Man’. 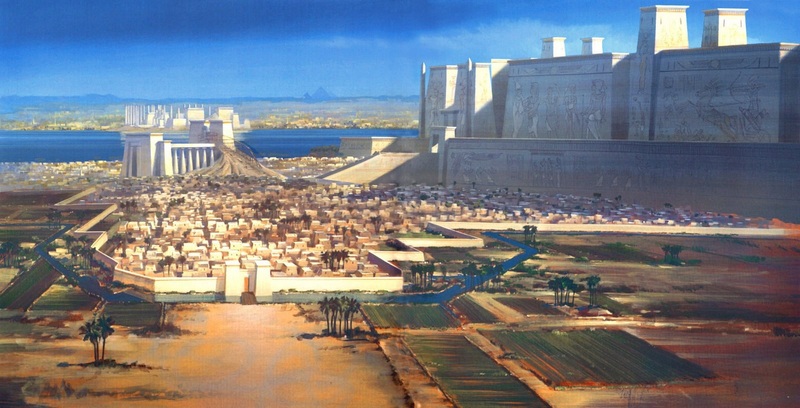 In this image, the symmetrical composition and one-point perspective, with the character at the exact center of the frame, creates a feeling of never-ending and inescapable space. 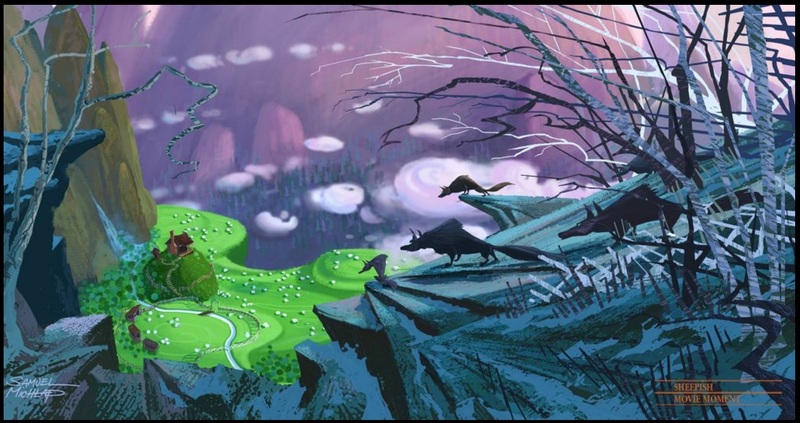 The above image is concept art from the animated film, ‘Spirit: Stallion of the Cimmaron’, by Richie Chavez. 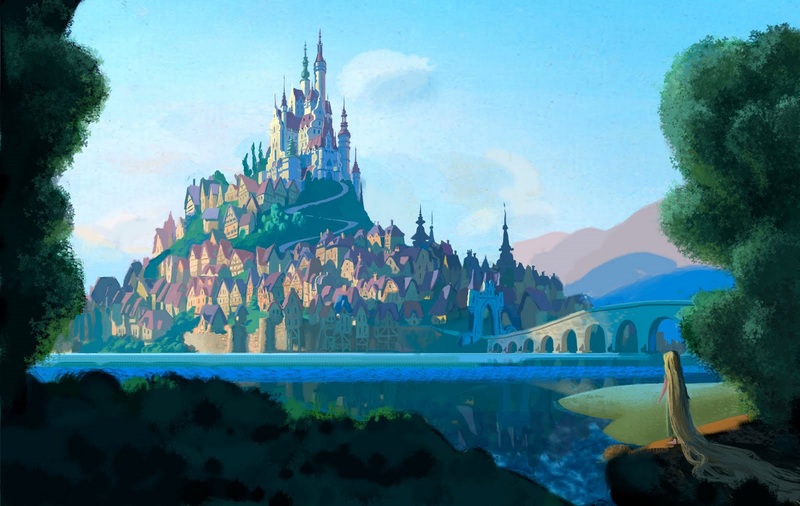 The horizon is kept very low in the frame, giving breathing space for the character to represent freedom. This is a still from the famous film ‘Silence of the Lambs’. 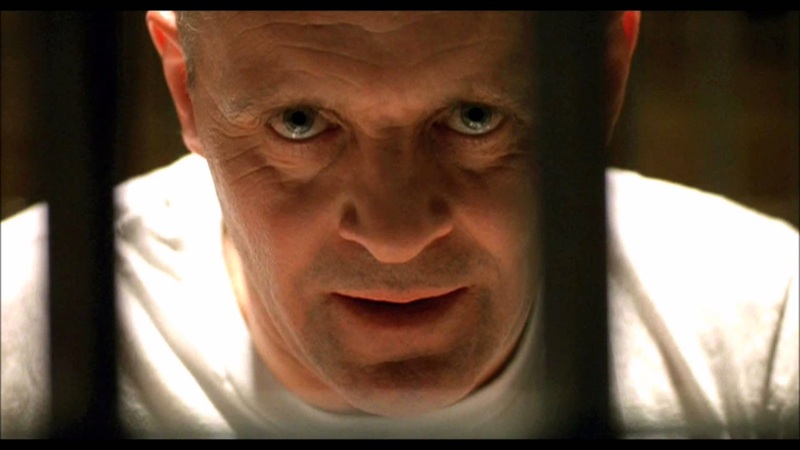 In this film, almost all shots of Hannibal Lecter are taken up front and close. The lack of breathing space for the viewer creates an uncomfortable and disturbing feeling. 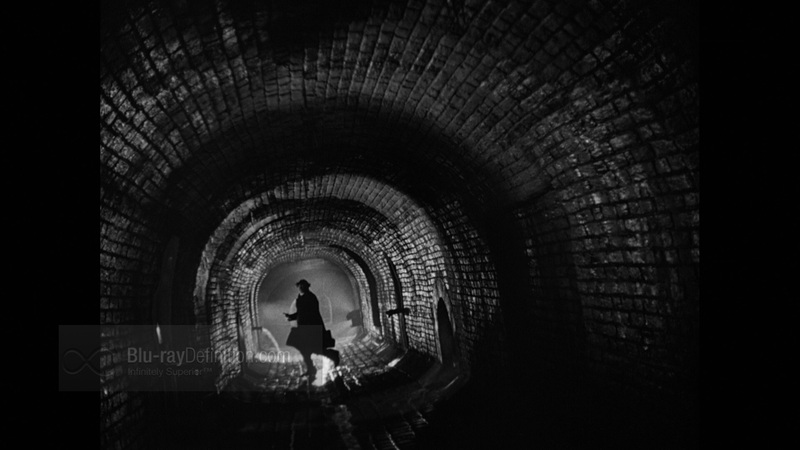 This again is a still from the film ‘The Third Man’. This is a chase sequence, and the character is a target trying to escape the cops. Here we see, the light and shadow shape creating a pattern similar to a bull’s eye, which is our referral point. 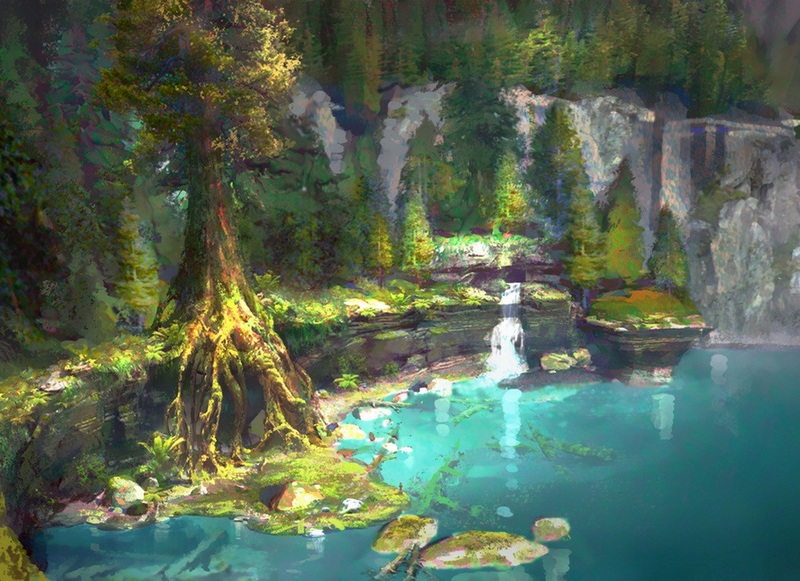 This is concept art by Christian Schellewald, for ‘Tigers’. We can see how the stripe patterns of a tiger skin throughout the environment. Even the light and shades create a similar effect. 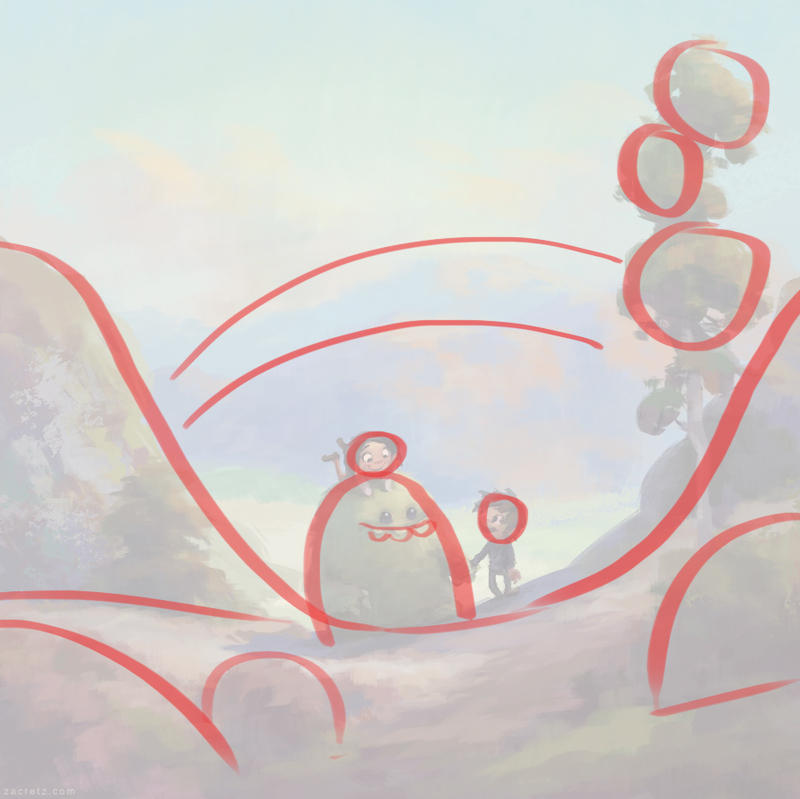 This was the second and final part of ‘A Study in Composition’. Special thanks to Chirag Thakar for compiling all these information. We will be back with more exciting stuff, so keep an eye on this space!